Here’s a conclusion we’ve come to as a leadership team- and one we want you to embrace as you begin 2017: whatever we do, it needs to be fun. If it’s not, we don’t want to give our weekends and evenings to it. We’re certain you agree. Life is too short. Here's why: the Gospel of freedom is good news, and good news is fun! 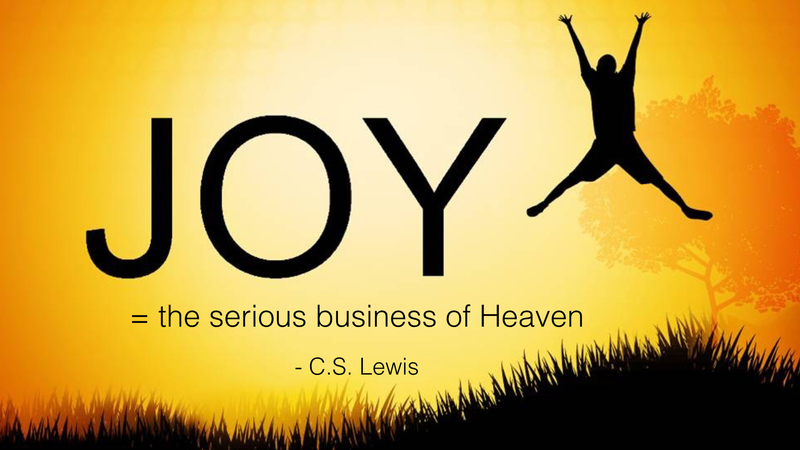 Get this: one third of the Kingdom of God is joy. Romans 14:17 says, “For the kingdom of God is... righteousness, peace and joy in the Holy Spirit” (NIV). Get that. One third. Righteousness. Peace. Joy. A third of the Kingdom!